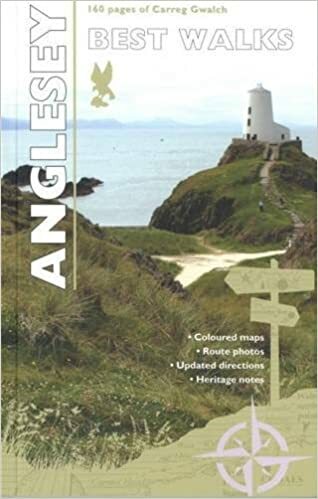 Below, RambleFest displays Anglesey guidebooks and maps, and provides the facility for buying them online. Almost the entire coastline of Ynys Mon, the ancient Isle of Anglesey, is designated as an AONB. Some of the oldest rocks in Britain, the pre-Cambrian Mona Complex, form the low ridges and shallow valleys of Anglesey’s sea-planed plateau. Holyhead Mountain is its highest point (219m) with superb distant views to Snowdonia. The east coast’s sheer limestone cliffs, interspersed with fine sandy beaches, contrast with the south’s wilderness of sand dunes that roll away down to Aberffraw Bay. Varied habitats give the AONB a high level of marine, botanical and ornithological interest. The dunes of Newborough National Nature Reserve are a noted example of this complex habitat and the island’s limestone cliffs are an important nesting site. 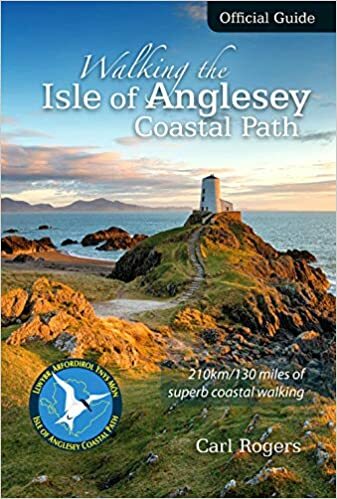 Anglesey has an important historic landscape, with its protected sites ranging from Bronze Age burial chambers to medieval Beaumaris Castle. Two areas within the AONB are listed in the Register of Landscapes of Outstanding Historic Interest in Wales. Our focus is mainly on rambling books, but we also include various books of interest for those visiting the area. We welcome suggestions for inclusion. 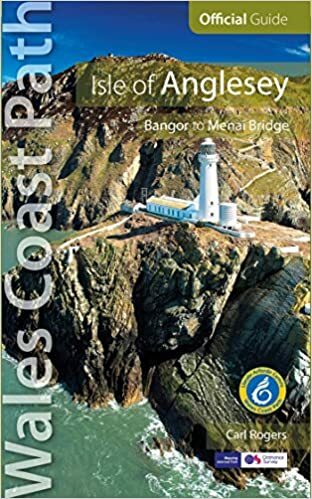 We include the two Ordnance Survey “Explorer” maps at 1:25,000 scale which cover the whole of Anglesey. We display the standard quality, although the tougher all-weather type is also available.